There has been a massive ressurgence in behavioral email as email marketers realize customers are increasingly savvy and no longer happy with the 'same old' style of daily, weekly or monthly newsletters. What does this mean for you? And what does your email marketing software need to be able to send these event driven emails? What is behavioral email marketing exactly? Rather than maintaining simple 'lists' of customers, behavioral email marketing software allows you to build up an individual profile for each of your subscribers. As an email marketer, the information you should use when creating a behavioral campaign is everything from basic customer attributes (age, location, last time on your site) to their most recent actions on your website (signed in, viewed product X, used feature Y, completed checkout). Statistics show that contextual emails (such as transactional and trigger-based campaigns) have an average open rate of around 50%, whilst newsletters have an average open rate of around 22%. 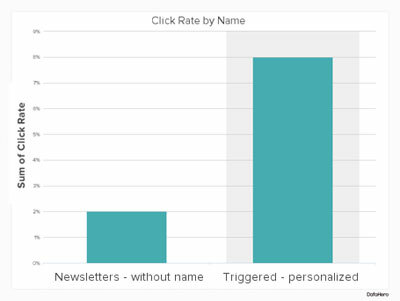 A more recent study analyzed over 8,000 email campaigns and found that, on average, trigger-based campaigns had a click through rate that was quite a bit higher than newsletter campaigns. 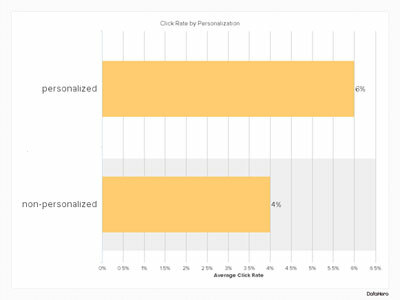 Even more interesting, this study showed that triggered campaigns with personalized, dynamic content outperformed newsletters by 300%. The following four behavioral email campaign examples will give you a good idea of what is possible and what is effective with triggered email campaigns. The world's largest businesses understand the value of behavioral email. The space is still in it's infancy when it comes to technical tools but these campaigns set the bar you should be aiming to eclipse. These campaigns should give you a solid idea of how behavioral emails can be used and the extreme effectivness they can represent. Compared with an email out of the blue these emails possess three characteristics that make them effective. They are: action-based, personalised and dynamic. These three traits are possible because the emails are triggered based on behavior. 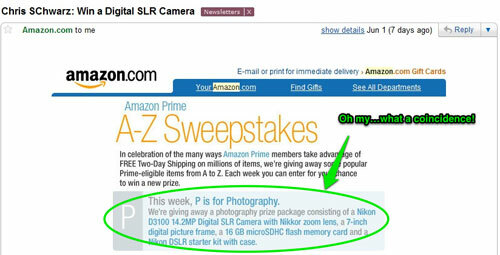 Not only do they employ an offer disguised as a competition, but target the competition based on behavior. 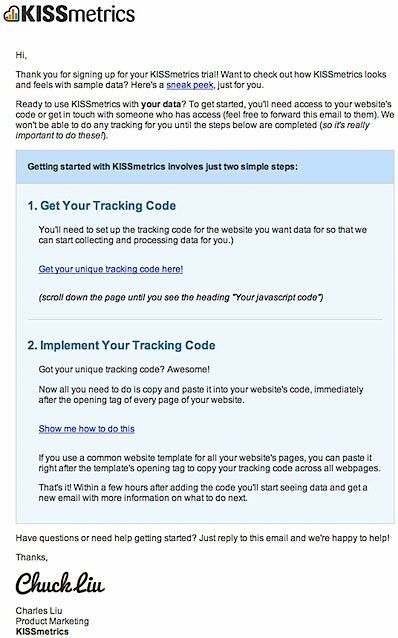 Rather than send something generic or, worse, nothing at all, KISSmetrics use their customers behavior to send a truly useful email. 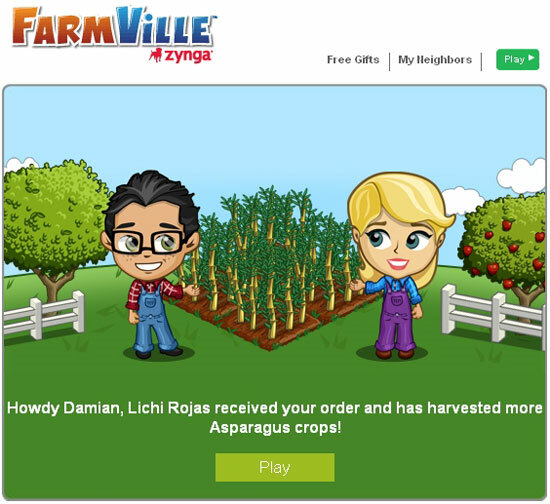 Zynga were one of the fastest growing companies ever. Attracting hundreds of millions of casual gamers in a few short years, email has consistently been a powerhouse for engagement with their games. 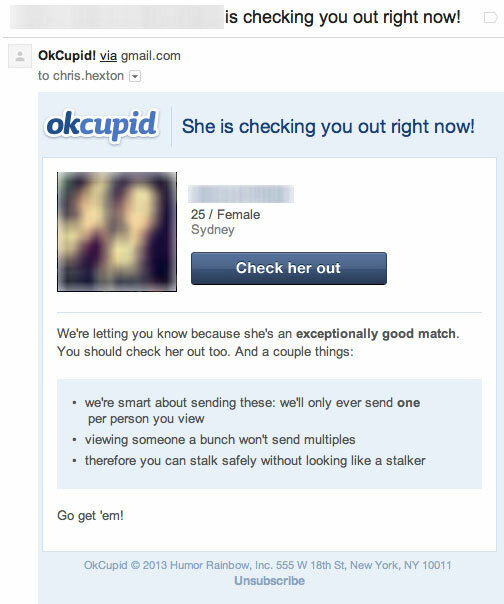 The final behavioral email marketing example comes from the dating website OkCupid. Famous for their data analysis, OkCupid don't make any decisions without testing them first. They are extremely savvy when it comes to behavioral emails. The first example below is triggered by OkCupid when one user 'likes' another. The second is sent regularly based on the specific search conditions set by each individual user. Both of these campaigns put the power of behavior to effective use. By harnessing customers' actions and specific request attributes, they nail it. Tracks on-site customer actions: You need to be able to track everything your customers does in real-time. The more information you track the richer your profiles will be and the more rapidly you can create and test new campaigns to target segments of your database. Create automated campaigns and newsletters from the same interface: without hard coding on your website or in your application. You want a tool that will help you do the heavy lifting when it comes to design segments and filters. Many great email providers have had basic marketing automation tools for a few years now. One consideration you need to make is whether you should choose a 'list-based' system (where you add customers to individual lists based on what they've done or where they subscriber) or the newer breed of email providers that have a central database built around customer profiles. These providers don't use the concept of lists and, instead, track each individual customers' actions and attributes. One other benefit when it comes to these new tools is the ability to track conversions quickly yet rigorously. As these systems are event-based, tracking conversions usually just defines setting up a conversion event per campaign and the system will do the rest. HTML templating and a templating framework so marketers and designers can create templates without developer time being required. The ability to conduct A/B tests on your campaigns for rapid prototyping and improvement. 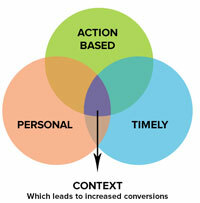 External data integration so that you can truly customize campaigns by tracking meta data with customer actions (i.e. which product did a customer look at) or pulling data from your own API and resources (i.e. fetching data from your servers as part of a send – particularly useful for recommendations and keeping your on-site experiments and your emails linked). Conversion tracking down to the level of who did what. This adds a new dimension to the success of your campaigns. What great behavioural emails have you received in your inbox? What have they worked / not worked? Leave a comment! From Sydney, Australia Chris Hexton is the Co-Founder of Vero's email remarketing software. Starting out as a self-taught developer and founding his own Ruby on Rails consultancy, Chris began his email marketing journey when he discovered that too many eCommerce and SaaS providers were sending completely untargeted emails because it was simply too hard to do anything better. Naively believing he could build something to solve this problem, Vero was born. By helping online businesses track exactly what their customers are doing on their website, Vero enables them to build individual customer profiles and send relevant emails that convert. Chris' personal passion is helping businesses improve their email marketing copy and strategy and he loves it when they see results.